You are currently browsing the tag archive for the ‘Martine Bisagni’ tag. 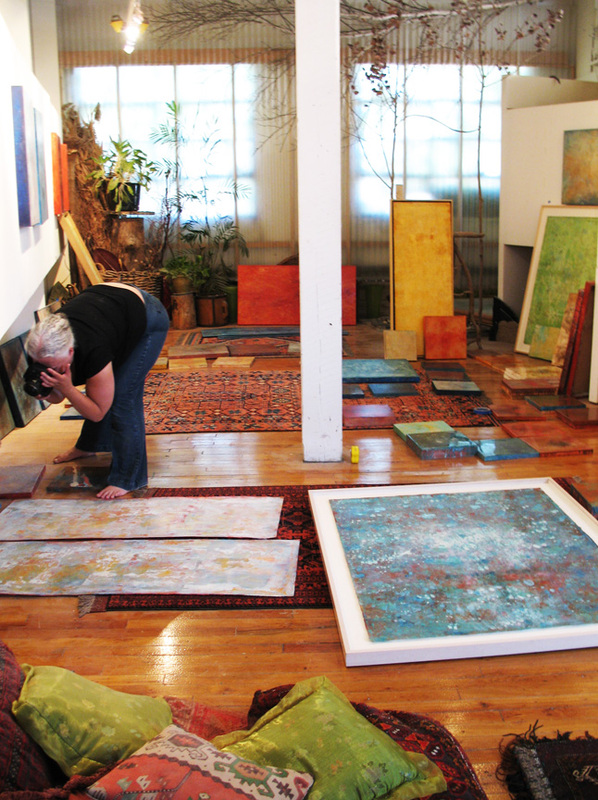 Brooklyn Workshop Gallery curator Martine Bisagni in my studio choosing work for the show that opens this weekend. I’m in New York for the opening of my show in Brooklyn this weekend. I’ll be back online on Monday. This is a heads up about my upcoming exhibit opening in Brooklyn on Saturday June 26. I am very excited to be showing (mostly) new paintings along with the stunning sculptures of Rina Peleg. 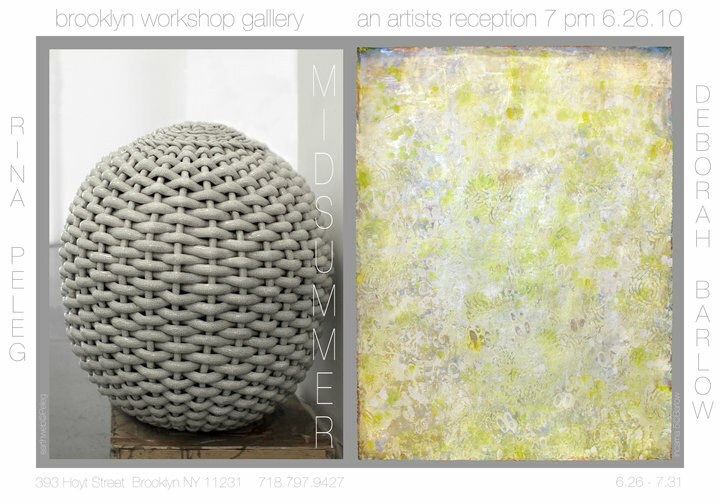 The artist reception starts at 7pm on the 26th—an event that is being described by gallery director Martine Bisagni rather provocatively as a “Midsummer Revel”—so I hope you can stop by. Brooklyn Workshop Gallery and the Brooklyn Workshop Gallery Foundation are committed to bringing art making and audiences closer together. In addition to a gallery space, BWG offers programs, classes and community outreach to promote the experience of art for everyone.